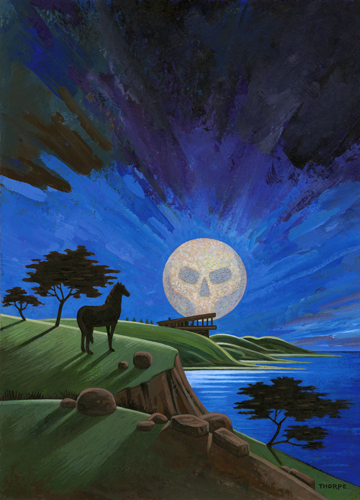 Cover art for the Perseverance Press first edition of Moonblind by Laura Crum. Illustration by Peter Thorpe. 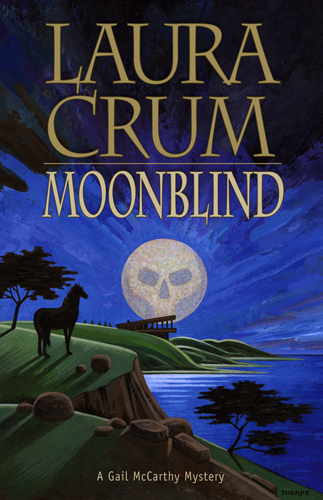 Cover of the 2006 Perseverance Press first edition of Moonblind by Laura Crum. Design and illustration by Peter Thorpe. The Perseverance Press first edition of Moonblind by Laura Crum was released in 2006. Design and illustration: Peter Thorpe. The original art for Moonblind is for sale by Parrish Books. Select Peter Thorpe framed originals are available throuh Parrish Books.